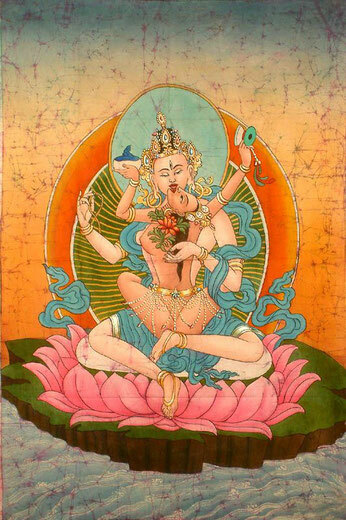 In the tradition of Tantra men and woman are supporting each other on their spiritual journey in order to grow into unity, love and consciousness. As deeper both are surrendering into love, the more they will be whole. The more they will reach unity and recognize the divine love within each other. Love can only come from inside of us, not from the outside from someone or something. The other can help us to remember. With active meditations, dance, loving touch, breathing exercises and more we awaken our body, our energy centers, our sexual energy and our hearts. Later we will share this energy flow in an encounter with our partner. We are meeting in presence in our hearts, allowing closeness and loving contact and say "Yes" to the moment. There is a possibility to enter into a deep space of Love, Bliss and Relaxation where healing and transformation can happen. It can heal our wounds, our repressions, our resistance and can bring Healing and Love to our relationships to others and ourselves . We can rise from our inner No to Yes to Love . The Intention is the Awakening of the Heart and to hold a sacred, protected space for you. We guide and support you in this process with kindness, awareness and presence, that you can relax and feel what ever is needed to feel . We welcome you to this space of presence, relaxation and "Yes" to life and love. This meditation is for all, for singles, couples, everyone who feel called. We are grateful to be able to share this loving and healing meditation, which we were taught by our wonderful teachers and our experience. My Name is Narada and I was born in Germany with Serbian Roots. On my spiritual path I studied different techniques like Yoga, Reiki, Ayurveda, Massage & Bodywork, Active Meditations, Rebalancing, Shamanic Work, Tibetan Pulsing and Tantra. Since 2013 I follow the Path of the Heart with my Master Sri Prem Baba and in the same Year i met my first Tantra teacher Hariprem, with him i started my Tantric path in India . For many years I'm guiding Yoga Classes , Tantra Workshops, Shamanic Work and offer different Treatments like Massage, Ayurveda & Bodywork. My experiences, encounters and studies during my trips through India and South Amerika give life to my work. I m really grateful for the Tantric Path and I'm deeply inspired by beautiful teachers like Hariprem & Homa & Mukto who live and share the Tantra Vision of Osho. My belief is based on trust in love. To relax into the present moment, into Life, into Love and our bodies will make our Life more complete, easy, juicy and healthy. For registration and more information please feel free to contact us.